Sometimes the unexpected happens, and what was considered lost, comes back to light again. In a strictly do-it-yourself environment as the underground electronic scene is, it is not rare that some artists leave a quick, recognizable mark and then suddenly disappear. If you also consider that most of those acts are usually faceless and nameless, every “return” make the event even more appealing. This is the case of one of our favorite electro act, here at JMM. Lost Trax made only one appearance till today, with an untitled 12″ in 2006 published by UK electro label SCSI-AV. The two tracks single was a precious, inspired release, combining acidic twisted basslines with tight Detroit electro elements; its deep sense of space is still bound to Earth by a smooth melancholic mood. Recently a new release on SCSI-AV appeared; a 2 tracks EP was released in mid March. Less acid-oriented that its predecessor, the gorgeous, appropriately called, “The Sequel” is an equally melodic, deep, driving electro/techno affair. “Birth” is moodier than the A side, more directly connected to the Drexciyan legacy that proves once again its influence. We had an email exchange with Lost Trax to discover a little more about the project. First of all, who or what is Lost Trax, and why have you decided to remain unknown? Lost Tracks is a collaboration between artists who are all doing what they do best, creating emotional music, straight from the heart. We feel Lost Tracks producers should remain unknown and let the audience focus on the music, not the face or fashion behind it. You have a really loose approach in releasing music. Which other activities do Lost Tracks people are involved in? Besides the Lost Tracks projects each artist is working on their individual projects, some have little to do with the ‘old school’ techno sound of the Lost Tracks releases. Your music has a definitive hardware feeling. Tell us more about the machine you jam with, and your eventual approach to computer based composition. The Lost Tracks releases have been pretty much build around the Roland TR-808 drum machine and analogue synthesizers like the 303, Korg MS-20 and Mono/Poly but this is because some of the tracks are well over 10 years old. We used to have the ‘all hardware’ approach but mainly because the software instruments lacked quality compared to the hardware stuff. These days the productions are a combination of hard and software based instruments. If there’s an instrument we like, we use it whether it’s hard or software based. Our favorite machines? 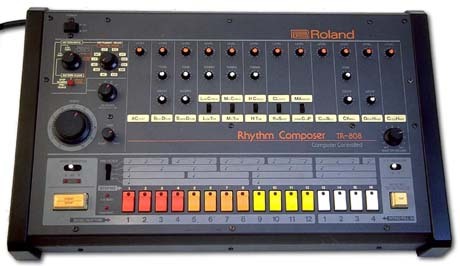 Of course the TR-808, it has a groove no other drum machine relates to! You told us that there are some difficulties in putting the record out in a physical form. What is your thought about doing vinyl in 2010? There has been a massive shift in the whole of the music industry in recent years and it’s very easy for labels to just exist as net labels as it’s so much more financially viable. There’s always been risk to manufacturing vinyl but it’s much more of a risk now, that said vinyl is in no way dead! It’s not really acceptable for the Lost Trax projects to not exist on vinyl although we want our music to be reached by as many people as possible and digital is a great tool for that. We see digital as a good way to experiment with releases due to the fact there is no significant cost to getting the music out there and we can releases projects that may have never seen the light of day as labels would not have taken the risk so this is a positive. The problem with digital is that people don’t realize that manufacturing vinyl is an integral part of each release. It’s nice to have a record cut, it’s nice to get the test pressings and it’s nice to get the final product back as it’s tangible. You can’t hold MP3′s, there is rarely any kind of mastering, you can’t read the sleeve or look at the artwork while you listen to the tracks so for us vinyl is very important and will stay very important for many years to come. Why are you doing this music? It keeps us off the streets! Do you have any vision complementing your compositions? We also asked SCSI-AV’s head about the future of the label. In the near future SCSI-AV will be working with a couple of artists who have appeared on the label in the past, along with some new artists and some who are big influences. These artists are already collaborating in one way or another and will be encouraged to continue to do so, it’s important that the future releases and the shape of the label will have the input from the artists. There will be more experimentation and we will continue to release the music that we love. If we like it, we’ll release it. The label is becoming more diverse, there will be less restrictions and we’re excited about forthcoming releases. Scsi has always been a label inspired by the advancement of technology, science and the world around us and this will always be the case but expect a shift in direction! 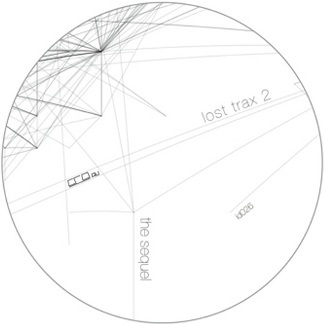 Lost Trax 2 is out now on SCSI-AV. Digital download is already available, vinyl version to be released soon. New dj mix up on my Cratedigga page. I’ve been diggin a lot lately, getting some Boogie and Electro-funk records, a sound I really love. At the beginning of the ’80s, when disco music decline was already on, a new bunch of post-disco sub-genres were growing up. Boogie, Disco Funk, Electro-funk, were taking some elements off the ’70′s disco blueprint and re-shaping them by adding the first commercially available (and affordable) synthesizers and drum machines. This blend of mid-tempos, funky fat basslines, electronic elements and soulful voices seemed to go in a completely different direction, compared to the development of Italo Disco, with its exasperation of the electronic elements. Boogie will later further develop into early Electro and Hip Hop. And, together with Italo, P-Funk and New Wave, Boogie will have a strong influence in shaping what was called, some years later in Detroit, Techno. Back to topic, Peoples Potential Unlimited is a label that is doing a particularly good job today, by reissuing lost treasures from that era, usually built around local scenes and documented by small and already disappeared labels. I made a kind of mix/podcast to showcase some releases I like from their still small but interesting and various catalogue. I’ve just uploaded a new dj mix on my Cratedigga blog. It featuring some cosmic/weird soundscapes, abstract technoid tracks and spacey disco/house tunes. You can download it by clicking the arrow on the player. On JMM stage… Annie Hall! Wednesday, November 25th Annie Hall performed on our Just Music Makers stage, for its Italian debut. We’ve asked her to reply to a few questions.. enjoy. Your sound has clear references to the original Detroit electro sound, with its strong devotion to analogue equipment and its imaginary of technology, machines, space and future. Can you tell us how your interest in this kind of music was born? And which are the artists / records that influenced you most? My work as a dj begins with the most purist electro, Miami Sound, robotic sounds, etc.. When I discovered the sound of Detroit it was like coming back home, because I found in it all the elements that I love in electronic music, a soul and a great flow. Everything very musical and melodic, with space and futuristic influences. All things that I love, being a lover of astronomy, physics and science since my early age. Then I started to buy Detroit techno and electro records, and they become an essential part of my sound and my luggage. These same things inspire me when I produce my music. Going deeper into technology can you tell us some words about how you make music in your studio? How do you start a song? Which machines or software do you like to use and why? In the moment I start composing everything depends from my state of mind: in the beginning I never know which path the composition will take. The point is to find the sound that brings a feeling with it, and from there, in one way or another, begin to work. 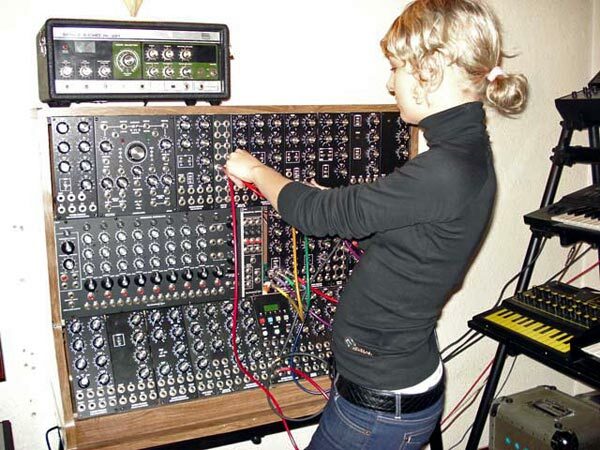 At first I used only real machines (synths, drum machines, etc..), all hardware, that’s how I learned. Later I began to incorporate software and work with both at once, because I also like some digital sounds. For example, I really like using Reaktor, a software that allows you to create your own synth sounds and to build more elaborate, more digital sounds, with great strength and great opportunities for experimentation. What about your real-life, what are you doing daily? During the day, which role does the music play for you? Music plays a major role in my life, in every sense, even in everyday life … I listen to music at all times while working, when I drive, or simply when I lay down on the couch. I listen to all styles of music, not always electronic. My iTunes has so many different styles! As a matter of fact at home I’m listening to everything and I can get ideas from anything, I think this is something that adds a lot to me as a producer, and helps me to overcome many limitations during the time of creation. Annie has also given us a recording of a dj sets to download, enjoy! Download the dj set here. The November issue of our Just Music Makers night will take place on Wednesday the 25th, at this nice club in Turin which is sPAZIO 211. Line up will include a favorite artist of us: Annie Hall, straight from Madrid, will headline the night with her deep melodic electro. Vaghe Stelle, from our city, will showcase his moody, alien brand of oblique techno, while xluve and me will complete the line up playing some deep detroitish stuff. All act will perform live sets, expect a journey into the sound you usually don’t hear around. Here’s a blog I started some time ago, to share some dj mixes I do from time to time. Usually made with ten tracks, sometimes following a common/personal theme, sometimes just out of inspiration. …and always out of vinyl. Of course you can download them by clicking on the small arrow on the right. Welcome to Just Music Makers! Just Music Makers is an IDEA. The idea of going back to the music, to the craftmen who make music thru their instruments, following personal and radical paths. where music makers and music listeners can spread good music, technical knowledge, opinions and ideas. where you can listen to the music makers doing their own thing, talk with them about how they work, what they want to achieve with their music, and what they feel doing that.